To my surprise, I enjoy shooting wine bottles in a traditional style--butter-smooth lighting, no hot spots, a nice glass next to the bottle that's got just-enough-but-not-too-much wine in it :D .
But I also enjoyed cutting loose a bit and shooting (slightly) unconventionally, trying to capture the spirit of the label. I shot these for Tonette Marler, my longtime friend who's a wine consultant. She knows all about what wines go with what foods (including chocolate! ), and is especially knowledgeable on the subject of organic and healthy wines--it's her niche. What a good friend to have, eh? The above shot of the Che Fico (pronounced “Kay Fee-Koh) is my favorite, and Tonette’s as well. I’m looking forward to opening this bottle tonight. Hot pink bow on a zebra! What else is there to say? Not so easy to be true to the spirit of the label when the winery takes its name from the vintner's stoic, no-nonsense great grandma. 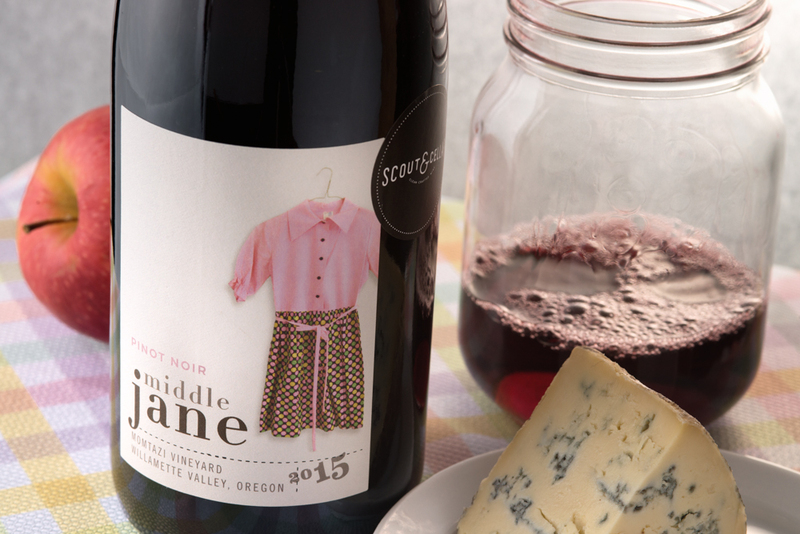 It took me a while to come up with a humble but righteous country feel for this Middle Jane Pinot Noir. 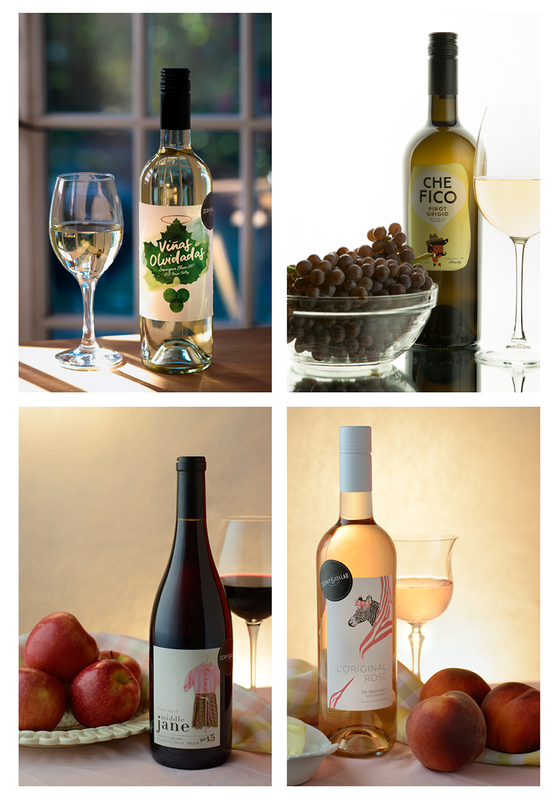 A collection of traditional wine ad shots with that silky-smooth lighting. Well, except for the Vinas Olvidadas on the upper left, which could be classed as an editorial shot--the on-location set, the multiple reflections in the glass.